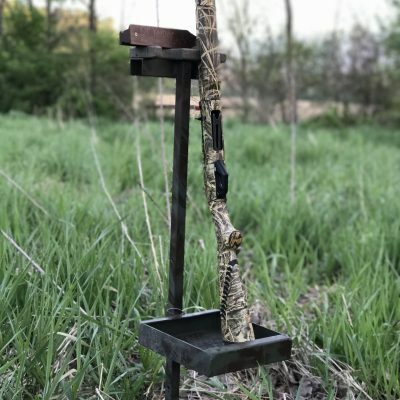 The gun stand is designed for those hunters who wade while hunting. 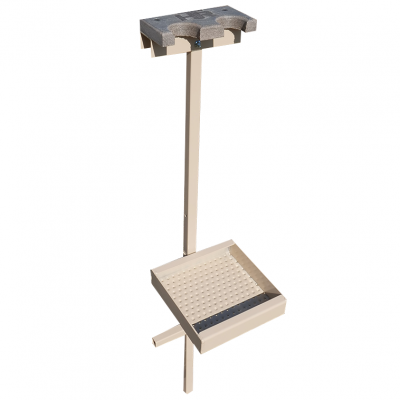 Built from aluminum, the stand weighs less than 5 pounds which makes it easily carried and can be anchored in almost any type of ground. 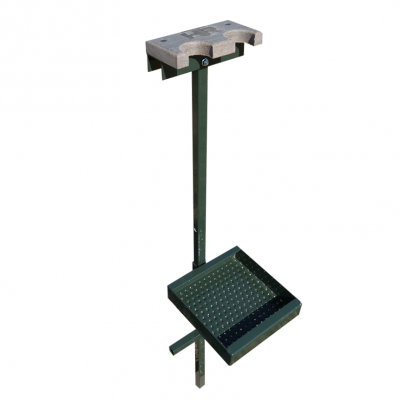 The stand is hands free and adjustable up to 36” of water. Use it while you’re hunting in flooded timber, rivers, or even with your buddies shooting clays on the range. Made from aluminum, this product is very durable. 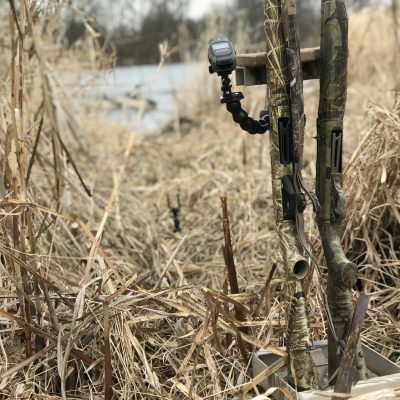 Make your hunting safer and more enjoyable by using this hands free gun stand.